As the splendid readers of Two-Daily Town might remember, the hardreading staff is one of 17 home subscribers (a.k.a. The Few. The Proud. 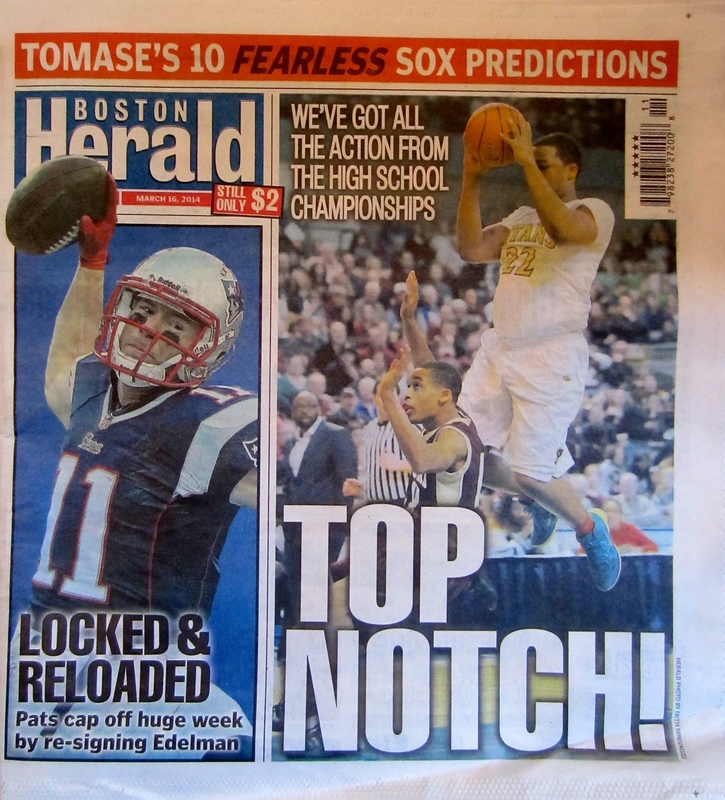 The Idiots) the Boston Herald boasts. Consequently, here’s the front page of the fusty local tabloid that hit our porch this morning (tip o’ the pixel to the Missus). Right: All sports, all the time. 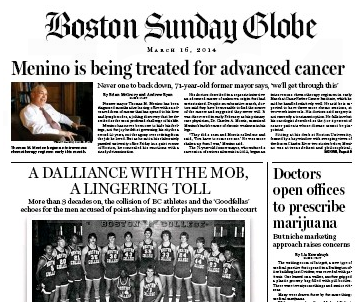 By contrast, here’s the front page of today’s Boston Globe. A later edition of the Herald did feature this front page, but the corn was off the cob by then. 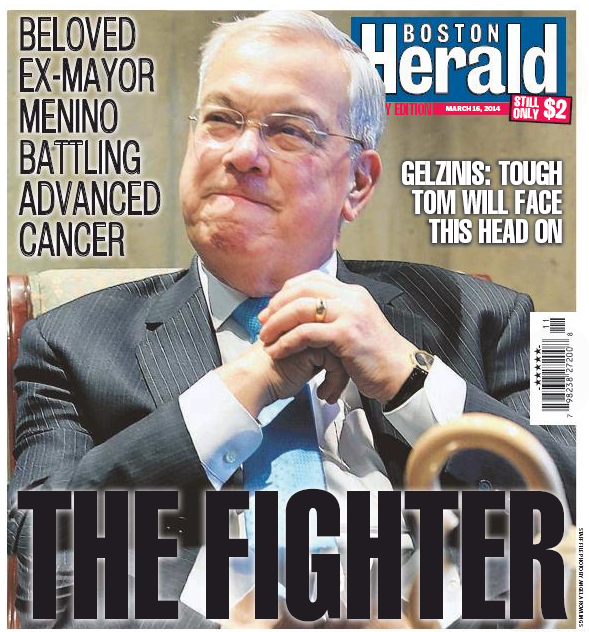 We can’t wait until the Globe starts printing its papers – and the Herald’s – in Millbury (see Dan Kennedy’s piece here). At that point the Sunday Herald will likely roll off the presses sometime Friday afternoon. This entry was posted on Sunday, March 16th, 2014 at 1:03 pm and is filed under Uncategorized. You can follow any responses to this entry through the RSS 2.0 feed. You can leave a response, or trackback from your own site.